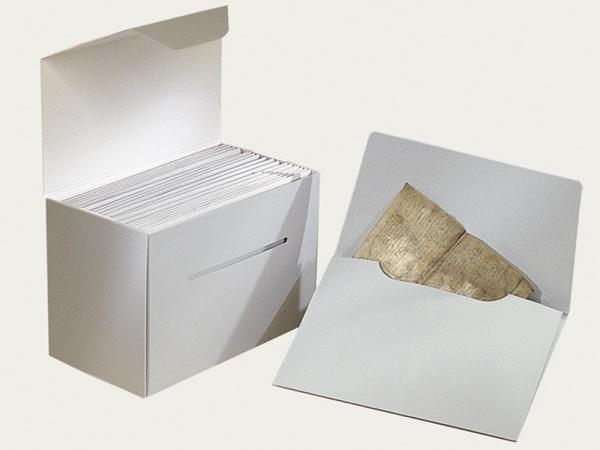 An archival box for the upright storage of expansion folders, glass plates, collections with loose and unbound objects, magazines and brochures. Smooth interior surfaces. Upon request available with a finger hole, with upright supports and with a flap on the front side.